You are driving a bus. At the first stop, you pick up 12 monkeys and 18 gorillas. At the second stop a giraffe and two tigers get on the bus and sit in the back. 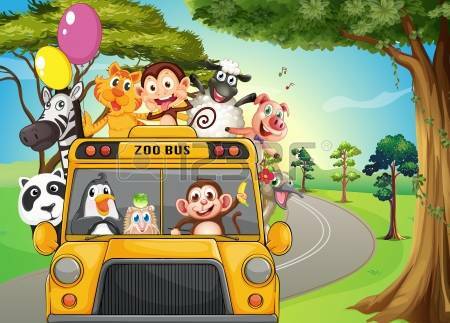 At the third stop, a zebra and pig get on and sit in the back next to the giraffe and tigers. At the last stop, an orangutan, a parrot and 27 alligators get on the bus. Then, they go to the zoo. Now, how old is the bus driver? SherlockHolmes Expert Asked on 3rd February 2018 in Brain Teaser. Since You are driving the bus, Age of the driver is your age. dyj Expert Answered on 5th February 2018.
age of driver is my age because i am driving.